During our annual Have a Seat sale, F.G.Bradley's offers you the perfect opportunity to save up to 40% on kitchen counter or bar stools. 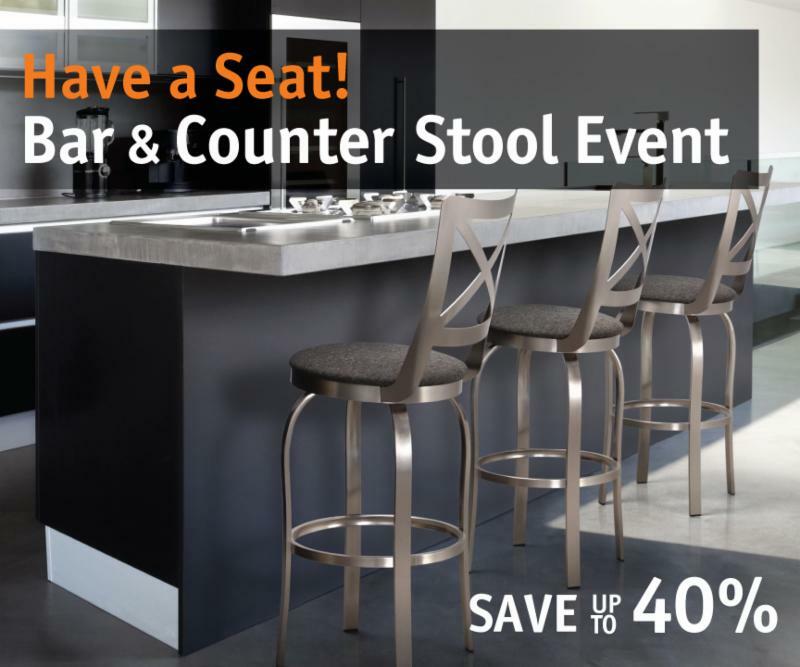 From now until April 30th, save up to 40% OFF the list price on custom bar and counter stools! We have wooden and metal stools in counter, bar, spectator and chair height to suit any décor. Choose from great makes like Trica, Worldwide, Legacy and more. With over 10,000 combinations of Trica stool styles, colours and finishes available, we have always been an obvious choice for bar stools, but we're also your go-to store for counter height kitchen stools as well. 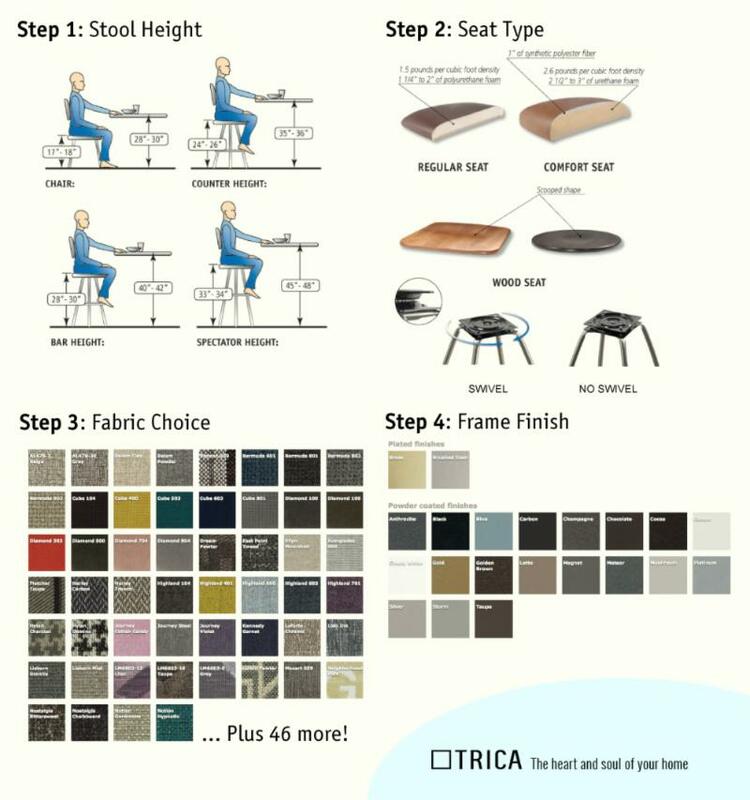 Click the image below to view our expert tips for finding the right stool. Click here to discover stools perfect for your room!